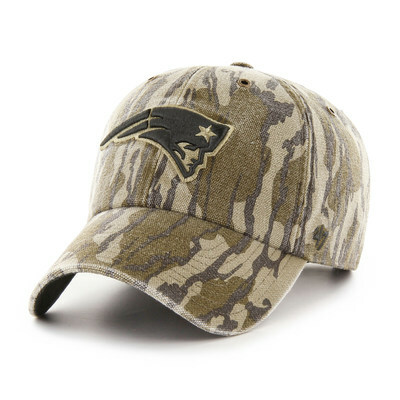 BOSTON, Nov. 1, 2018 /PRNewswire/ -- '47, a global sports lifestyle brand, and Carhartt, America's premium workwear brand since 1889, have teamed up with Mossy Oak, one of the most recognized camouflage and outdoor lifestyle companies, for a limited-edition National Football League (NFL) collection. This collection continues to celebrate the unyielding connection hardworking fans, the outdoors and their hometown teams. The headwear utilizes Carhartt's signature durable duck fabric in Mossy Oak's Bottomland print. Mossy Oak Bottomland was the pattern that started it all. Being the original camouflage that was created over 30 years ago, it was the perfect introduction of the brand into Carhartt and '47's Outwork x Outroot campaign. Silhouettes available include the '47 CAPTAIN (structured, flat visor, strapback), '47 CLEAN UP (unstructured, curved visor, adjustable), the '47 MVP (structured, curved visor, adjustable) and a '47 Cuff Knit. Mossy Oak x Carhartt x '47 product will be available beginning Thursday, November 1 at the brands' company stores, 47brand.com and carhartt.com. The teams that will be offered are: San Francisco 49ers, Chicago Bears, Denver Broncos, Cleveland Browns, Philadelphia Eagles, New York Giants, Detroit Lions, Green Bay Packers, New England Patriots, Oakland Raiders, Seattle Seahawks, Pittsburgh Steelers and Minnesota Vikings. 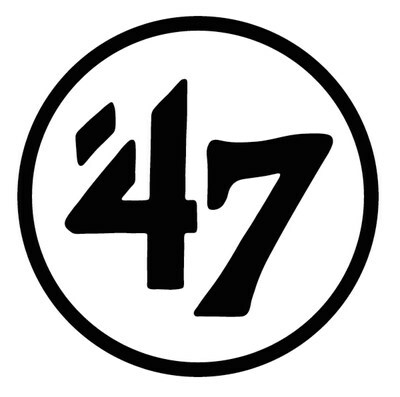 Teams selection was a result of regional interest in endemic outdoor brands like Mossy Oak as well as high-interest in Carhartt x '47 products from the on-going partnership. "This expanded collection with Mossy Oak is made specifically for the blue-collar, die-hard fan with a passion for getting outdoors," said Janet Ries, vice president of marketing at Carhartt. "This headwear collection is inspired by and built for every hardworking fan out there who Outworks and Outroots them all every day, 24/7." "We continue to enjoy a fruitful partnership with Carhartt and are looking forward to extending the product assortment to include the Mossy Oak pattern," said Steven D'Angelo, co-owner of '47. "There is ample heat around Mossy Oak in the market so we expect a strong response to this new offering." Established in 1986, Haas Outdoors Inc. is headquartered in West Point, Miss., and is home of Mossy Oak. For more than 30 years, Mossy Oak has been a leading outdoors lifestyle brand that specializes in developing and marketing modern camouflage designs for hunters and outdoors enthusiasts. The Mossy Oak Brand and patterns can be found on a multitude of products worldwide. Haas Outdoors Inc. is the parent company of Mossy Oak, BioLogic, Capture Productions, MOOSE Media, Nativ Nurseries, Nativ Living, GameKeepers, GameKeepers Kennels and Mossy Oak Properties. Mossy Oak is the official camouflage of the National Wild Turkey Federation, Ducks Unlimited, Quality Deer Management Association, and Mack's Prairie Wings and the official pattern of B.A.S.S., MLF and Cabela's Collegiate Bass Fishing Series. Follow Mossy Oak on Facebook, Twitter, Instagram, Google+, Pinterest and YouTube. Established in 1889, Carhartt is a global premium workwear brand with a rich heritage of developing rugged products for workers on and off the job. Headquartered in Dearborn, Michigan, with more than 5,100 associates worldwide, Carhartt is family-owned and managed by the descendants of the company's founder, Hamilton Carhartt. For more information, visit www.carhartt.com.